32. For 2017, have you (the student) completed your IRS income tax return or another tax return listed in question 33? You will need to answer this question based on whether or not you (the student) did, have not yet, or will not file a tax return. You should answer this question based on your current tax filing status for the previous year. 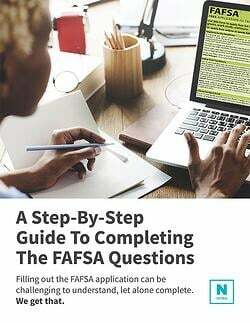 It is OK to answer this question either way, although if you have not yet filed a tax return, and are imputing estimated figures into the fields, you will need to come back to your FAFSA to update or confirm these figures after you do filed your tax return. A school will not distribute Federal financial aid based on estimated figures.